We are proud to offer an accredited five-year residency training program in orthopaedic surgery to five residents each year. The goal of our program is the acquisition of knowledge and skills necessary to provide excellent patient care as a practicing orthopaedic surgeon in academic or community medicine. We provide outstanding academic exposure, clinical training, and extensive hands-on operative experience that begins early in the residency with exposure to every sub-specialty. Our basic science and clinical curriculum fully prepares graduates to obtain competitive fellowships and enter practice. Welcome. I would like to take this opportunity to tell you about the UConn Musculoskeletal Institute and Orthopedics & Sports Medicine at UConn Health. The Musculoskeletal Institute is a unique paradigm in musculoskeletal healthcare. Orthopedics and Sports Medicine, our Comprehensive Spine Center, the Center for Osteoporosis, and Rheumatology are all housed in our state-of-the-art, freestanding facility on UConn Health's lower campus. There is an ambulatory surgery center and 10,000 square feet of laboratory space, including a Bioskills Laboratory. The fact that we have our own building dedicated to musculoskeletal care demonstrates UConn Health's commitment to our growth and success. We offer patients the convenience of “one stop shopping” for all their musculoskeletal needs. Our specialists work in close proximity to one other which enhances patient care and stimulates both clinical and basic science research collaborations. Our department continues to grow rapidly with 17 clinicians covering all of the orthopaedic subspecialties and 5 research scientists. We have a productive clinical outcomes unit to support our clinical research projects. We are extremely proud of our strong orthopaedic residency program. ACGME's accreditation system, NAS, electronically monitors our program on an ongoing basis and has consistently granted our program annual re-accreditation without citations since its launch. We continue to build on our strengths and examine all aspects of our program to further enhance the patient care experience and the didactic opportunities of our residents. The ultimate goal of our residency program is to produce excellent orthopaedic surgeons who can enhance the quality of lives of their patients and become leaders in our profession. If you train at UConn, I guarantee that you will develop a skill set to pursue any type of orthopaedic career that you desire. We offer one of the strongest residency programs in the country, because we provide residents with an unparalleled clinical experience in and out of the operating room. Residents receive broad exposure to musculoskeletal disease while developing graduated levels of clinical responsibility over time. There is ample exposure to sports medicine, musculoskeletal trauma and complicated fractures, joint replacement, arthritis and osteoporosis treatment, spine, pediatrics, hand and wrist, foot and ankle, orthopaedic oncology, and musculoskeletal disease from both clinical and basic science perspectives. 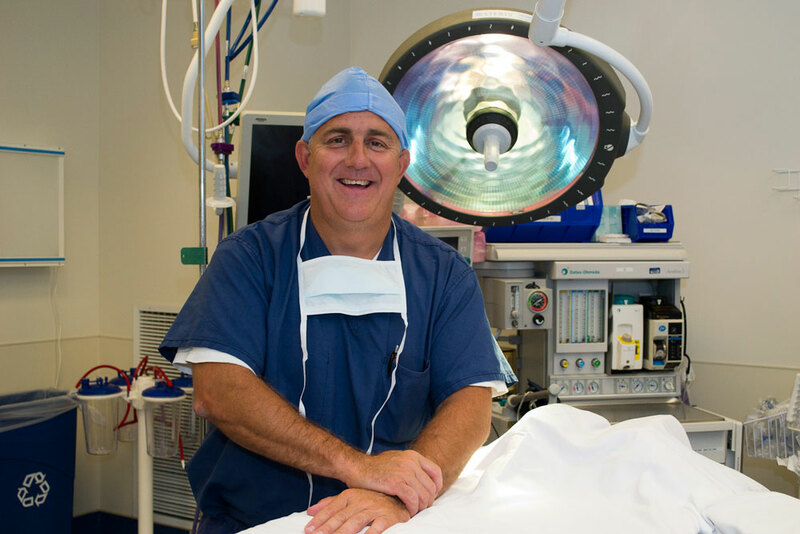 They receive well-rounded, thorough exposure to both operative and non-operative patient care, encountering a large range of challenging adult and pediatric orthopaedic cases as they rotate through the hospitals affiliated with the residency. The PGY-1 year is under the direction of the orthopaedic program and includes 6 months of experience within orthopaedic surgery, including a basic skills training month. Residents work with full-time and voluntary clinical faculty, who are fellowship trained in all subspecialties including adult reconstruction, pediatrics, trauma, sports medicine, spine, musculoskeletal oncology, shoulder, elbow, and hand. Every faculty member is strongly committed to providing residents with an exceptional educational experience. Many of the residents further their education with fellowship training. Members of the faculty are actively involved in guiding residents through the fellowship process to ensure they are able to attend the program of their choice. Upon completing the residency, our orthopaedic residents possess an excellent fund of knowledge and are able to practice medicine in a mature and competent fashion. The UConn program is designed to encourage residents to become leaders in their chosen field while providing them the skill set necessary to be successful in their practice upon completion of the residency program. The Core Curriculum is the foundation of the department’s teaching initiatives. This faculty-led lecture series is a comprehensive two-year curriculum whose goal is to teach the residents how to integrate the clinical and basic science aspects of musculoskeletal disease to enhance patient care. All residents including the PGY-1 residents attend this weekly conference. The Core Curriculum also includes bi-monthly Bioskills Laboratory sessions where residents are given hands-on opportunities to learn a variety of surgical procedures including knee and shoulder arthroscopy, total joint replacement, and fracture fixation. Residents learn surgical techniques at their own pace and in a controlled environment. In addition, there are weekly subspecialty and indications conferences, monthly Chairman’s Conference, Journal Club, and the Hartford Orthopaedic Forum (Grand Rounds). Residents are encouraged to pursue their research interests throughout residency and are expected to produce at least one high-quality project that could be submitted for publication. In addition, each resident completes a separate research project as part of the pediatric orthopaedic surgery rotation. Each year, a single resident with a special interest in research is given the opportunity to spend an entire additional year in the laboratory between the PGY-2 and PGY-3 year. Our goal is to foster this individual’s desire to pursue a career in academic medicine.